THE African Development Bank (AfDB) projects Zimbabwe's economy to grow by 4,2% this year before rising to 4,4% in 2020 underpinned by growth in the mining and agricultural sectors along with fiscal consolidation efforts by Treasury, but the bank warned against policy-related macroeconomic instability and fiscal imbalances. The projection is higher than government's 3,1% economic growth projection for the year, but lower than the bank's more optimistic 2020 projection of 7,5%. AfDB's projection comes over a week after the World Bank also projected higher economic growth of 3,7% by year end and 4% in 2020 in its report titled, Global Economic Prospects: Darkening Skies. "Despite the headwinds, the economy is projected to grow by 4,2% in 2019 and 4,4% in 2020. The high and unsustainable debt-to-GDP ratio; the high fiscal deficit; the cash shortages, three-tier pricing, and limited availability of foreign exchange, which continue to constrict economic activity; and the persistent shortage of essential goods . . . including fuel and consumer goods, remain the major headwinds for any meaningful economic recovery. The agricultural sector and mining are expected to be the main drivers of growth, backed by increased public and private investment," AfDB said in its African Economic Outlook for 2019. The projection comes as the economy is suffering from a high current account deficit, fiscal deficit due to an unsustainable expenditure, booming national debt, low foreign direct investment, currency distortions and a highly informalised market. "Policy-related macroeconomic instability; lack of funding, land tenure, and investment regulations; high input costs and outdated machinery; inefficient government bureaucracy; and inadequate infrastructure (particularly energy) remain key challenges for private sector development," AfDB said. 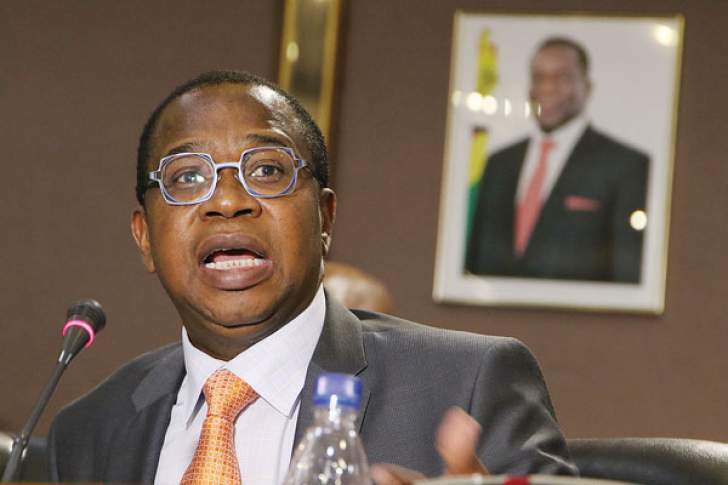 In his maiden 2019 National Budget, Finance minister Mthuli Ncube sought to addresses these challenges through fiscal consolidations underpinned by austerity measures and measures to control government's expenditure. The major austerity measures are a 2% tax on money transactions and more recently a 358% and 299% increase in taxies on diesel and petrol respectively. Combined, both these taxes are supposed to generate an additional revenue stream of about $4,1 billion for the year, which economists expect government to use for its excessive expenditure. However, the potential gains of the additional revenue that will allow government to invest in productivity might be eroded by demands from its workers who are expecting salary increments due to the rise in the cost of living. Anger over the worsening economic conditions led to a crippling three-day national shutdown as people took to the streets to protest against government's unpopular austerity measures. "The country's protracted fiscal imbalances have constrained development expenditure and social service provision, undermining poverty reduction efforts. Unemployment pressures have been mounting as employment opportunities continue to dwindle," AfDB said. "The country has one of the most youthful populations, with the population aged 15-34 accounting for more than 36% of the total population. However, most young people remain unemployed and resort to informal trading." AfDB said Zimbabwe had opportunities requiring minimal additional investment to realise medium-term growth targets. "In particular, measures are needed to increase transparency in the mining sector, strengthen property rights, reduce expropriation concerns, control corruption, and liberalise the foreign exchange markets. Regeneration of civil society and a renewed engagement with political actors in a positive social contract will accelerate political reform," AfDB said. "Given the vast natural resources, relatively good stock of public infrastructure, and comparatively skilled labor force, Zimbabwe has an opportunity to join existing supply chains in Africa through the Continental Free Trade Area."